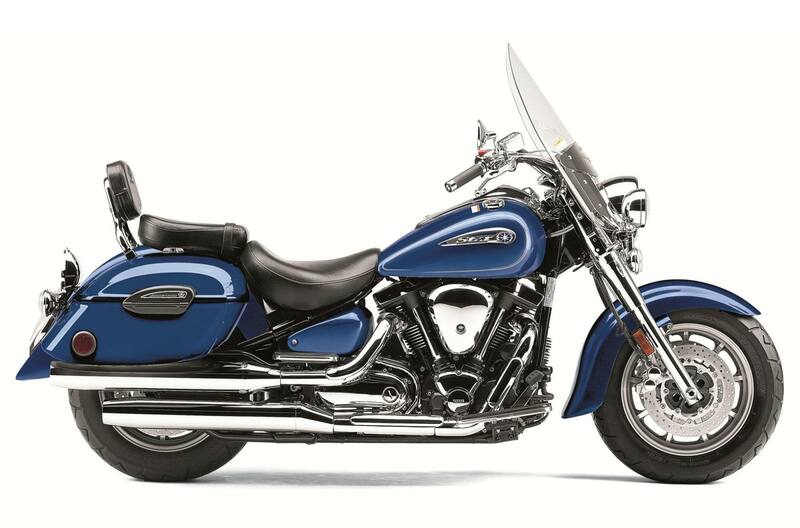 Fill up the 4.7-gallon fuel tank, plant your feet on the floating floorboards and let that big 102-cubic inch fuel-injected V-twin have its head. Medium-size adjustable windshield. Color-matched hard sidebags. Touring saddle and passenger seat with backrest. You're ready to go. The Road Star Silverado S adds chrome accents and more. • The Road Star Silverado S gets a chromed out front end including chrome forks, fork covers, fork clamp, switch housings, and brake/clutch levers as well as stainless steel braided throttle and clutch cables. • Electronic fuel injection provides easy cold starting and flawless fuel delivery at nearly all altitudes and in nearly any conditions. 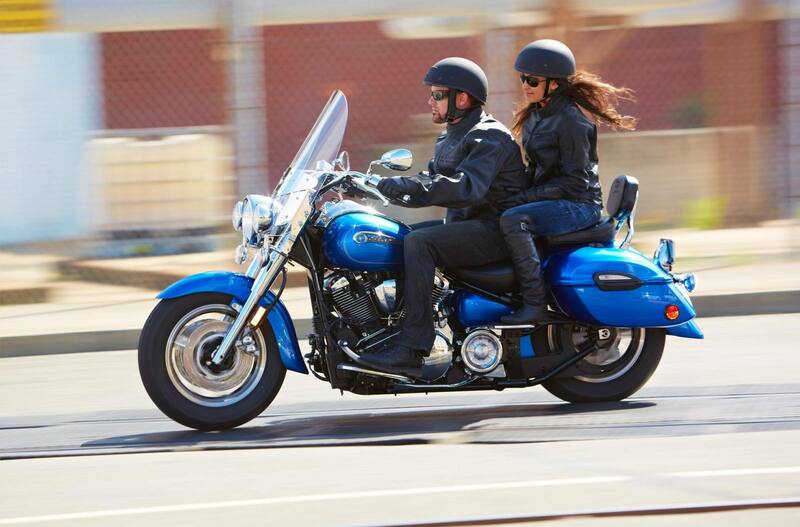 • A medium-size adjustable windshield enhances riding experience by keeping wind and weather off the rider. • Color-matched locking hard sidebags look great and provide ample storage for traveling. • Touring rider seat and passenger seat with backrest is shaped for roominess and extended long-range comfort. 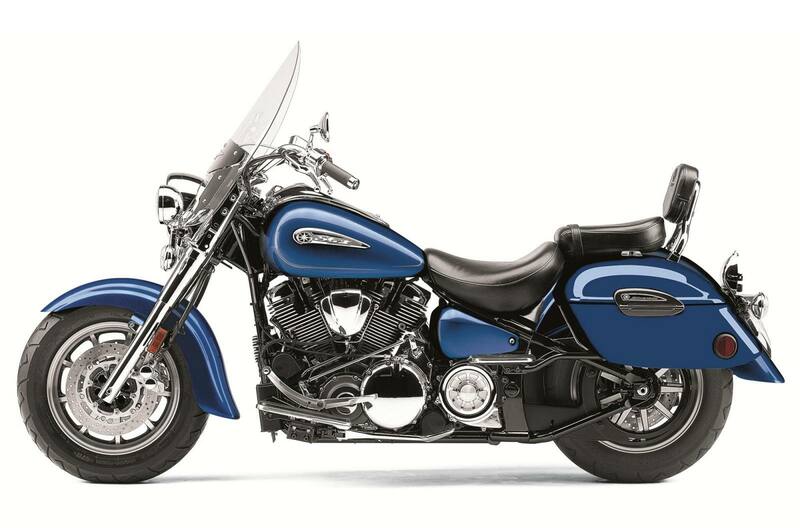 • Power is not a problem for the long-legged 102-cubic-inch V-twin, and belt final drive passes it to the rear wheel with maximum efficiency. • Estimated 36 mpg means this cruiser is in for a long haul between fill-ups. • 102-cubic-inch (1670cc) air-cooled, pushrod OHV 48-degree V-twin pumps out huge amounts of torque barely off idle for brisk acceleration and fantastic overall cruising performance. • Computer-controlled fuel injection monitors multiple engine parameters to calculate perfect mixture under nearly all conditions. • Hydraulic valve lifters driven by twin camshafts deliver exceptional performance and less maintenance. Ceramic composite cylinder bore plating ensures greater durability and optimal heat dissipation. • Smooth-shifting transmission delivers outstanding cruising performance with low rpm at highway speeds. • Dry sump lubrication system uses a handy spin-on filter and helps centralize mass by helping keep overall engine height to a minimum. • Electric starting system features solenoid-activated auto-decompressor for easy, dependable starting. 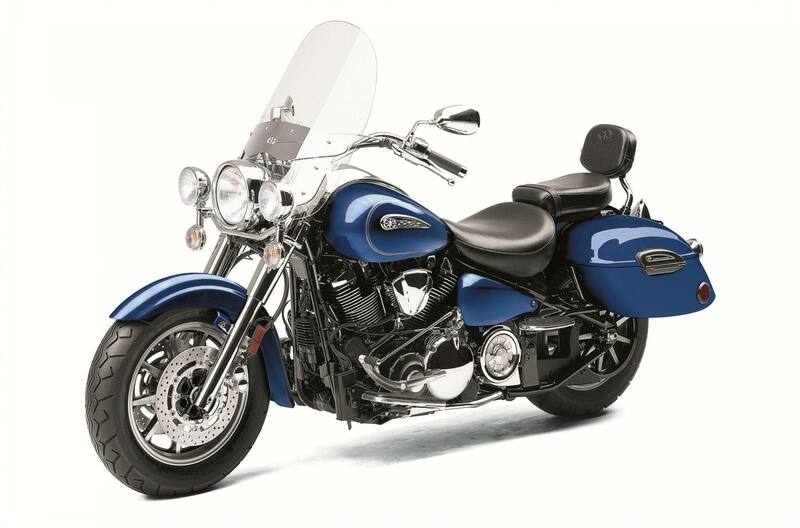 • Two-into-two exhaust system features beefy, staggered shotgun dual pipes putting out a soulful V-twin exhaust tune. • Solid-mounted engine housed in specially designed rigid-look, double-cradle frame features a stylish 32-degree rake. 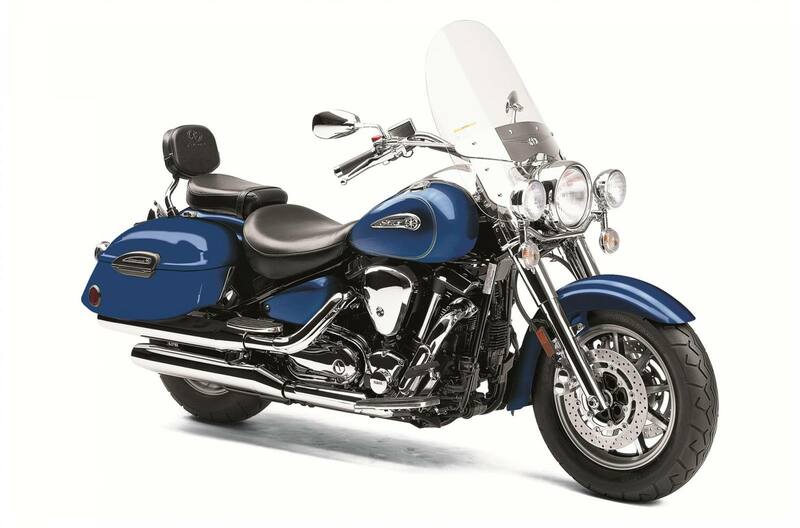 • Extra-long 66.5-inch wheelbase creates long and low retro profile, added rider comfort and well-balanced handling. • Telescopic 43mm front forks with stainless-steel covers and 5.5 inches of travel stylishly smooth out the bumps. • Out-of-sight link-type, preload-adjustable rear shock provides 4.3 inches of wheel travel for great handling and a plush ride. • The Road Star Silverado S comes equipped with 16-inch cast wheels. Tubeless tires are used for a classic, yet sporty look while providing confidence-inspired handling and excellent grip. • Dual 298mm front disc brakes feature four-piston calipers with aluminum pistons and sintered brake pads for strong, linear stopping power, backed up by a 320mm single rear disc. • Lightweight and high-strength final drive belt provides long life and quiet operation. • Industry-leading Star family fit and finish feature rich, lustrous paint and extensive chrome accents that create a machine as stunning as it is powerful. • Ultra-thin, tank-mounted speedometer features a stylish design and provides easy reading of odometer, dual tripmeters, clock and fuel gauge as well as low fuel, high beam, turn signal, neutral and engine diagnostic indicator lights. • LED taillight and clear turn signal lenses with amber bulbs for a custom look, great visibility and reduced current draw. • Full-size floating-type rider and passenger floorboards are roomy and comfortable. • A two-piece adjustable heel/toe shifter, and braided stainless clutch and throttle cables add even more comfort and style. • 4.8-gallon fuel tank with low-fuel warning light means exceptional cruising range. • Seat and fork locks both integrated into main ignition switch for extra convenience. • Handy underseat helmet holder. • Powerful 12V 60/55-watt halogen headlight maximizes nighttime visibility and comes with beautiful chrome finish. • 12V 12-amp-hour maintenance-free battery provides fuss-free, dependable starting. • Stainless steel braided throttle and clutch cables.